Damsons: What’s Hot in 2013? There’s something magical about turning the natural sugars in damsons into alcohol. You need just a few ingredients including the damsons themselves, some sugar, yeast, water, and actually, that’s about it. Time and temperature play a vital role, too. 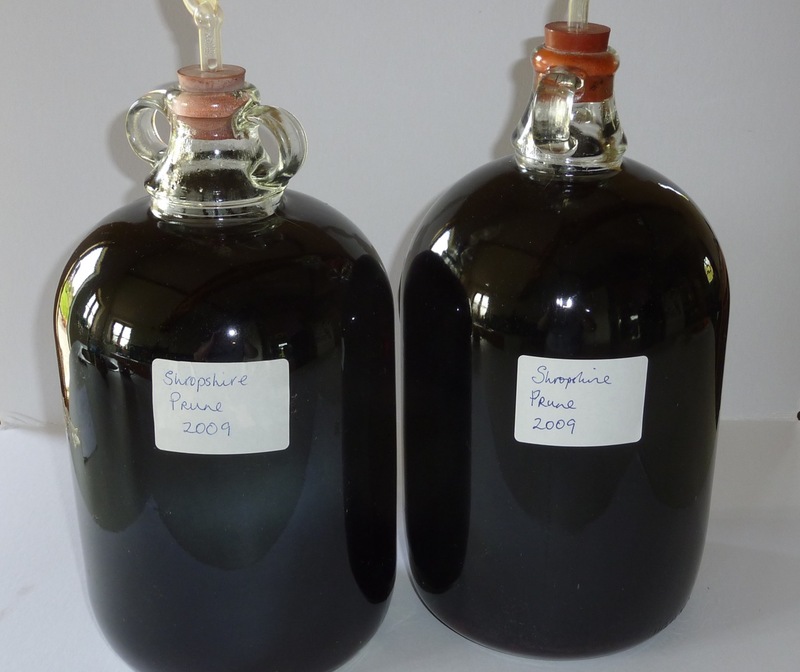 Shropshire Prune Damson Wine. Wildly Delicious. Damson wine (or my damson wine) is adamantly alcoholic. It’s more port-like than wine-like. And the longer you leave it — three, four, even five years — the better it tastes. Damsons are especially good in muffins because if you don’t sweeten them too much you can achieve a nice balance between the sweetness of the muffin mix and the tartness of the damsons. 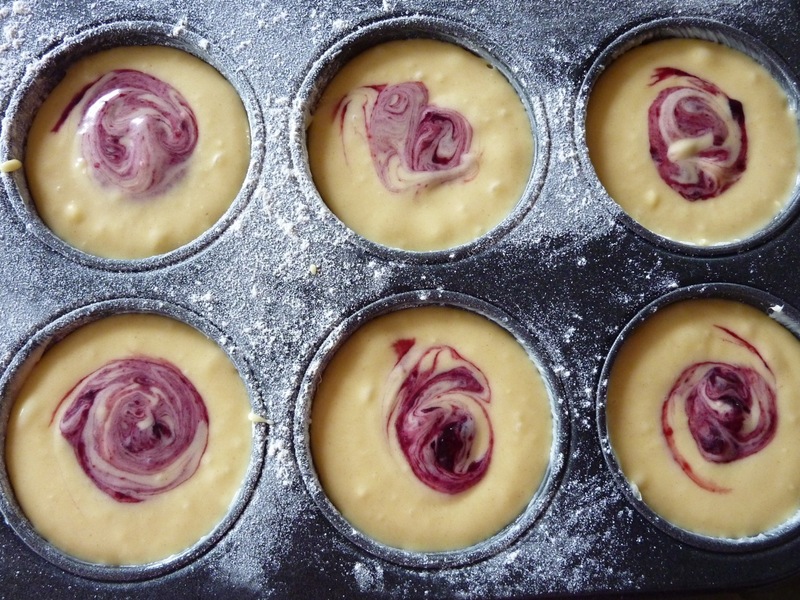 You can do a little swirl of the damson compote to commingle the damson and muffin mix a little. 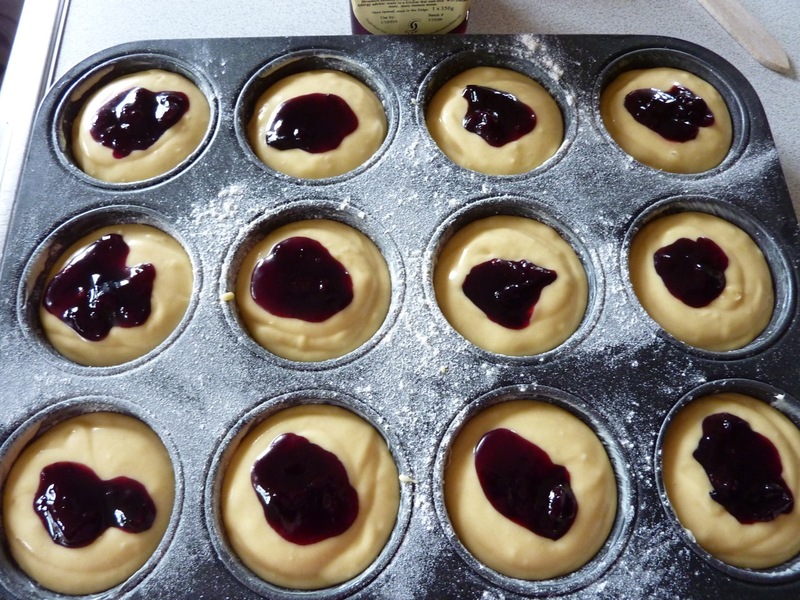 Damson Compote Commingling With the Muffin Mix. 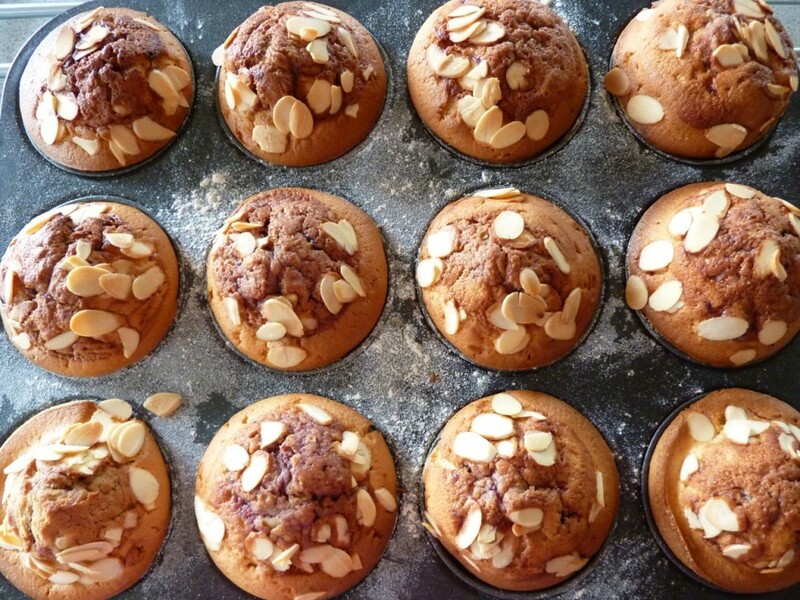 The baked damson muffins go well with baked flaked almonds. What to do with spent damsons? 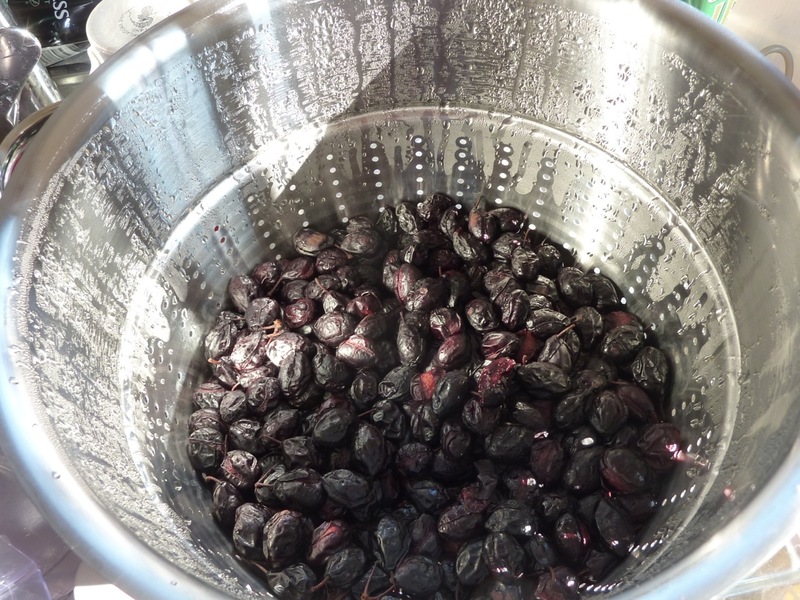 These damsons in the steamer juicer have given up their juice. They would be perfect fodder for pigs, if only I had pigs. Instead, they’ll make a good base for an alcoholic liqueur. One or two might even find themselves enveloped in dark chocolate. Damsons make a fine fruit syrup. It’s the philosopher of fruit syrups: it’s deep. To make a damson syrup you take some damsons, extract the juice and cook that juice with sugar. By regulating the temperature at which you cook the damson and sugar mix you can produce a thin or thick syrup. The higher the temperature, the thicker the syrup, and so the more viscous it is, obviously. And the more viscous it is, the more it will cling to, for example, vanilla or nut ice-cream, duck, venison or anything else you would like to glaze with the rich flavour of damson. 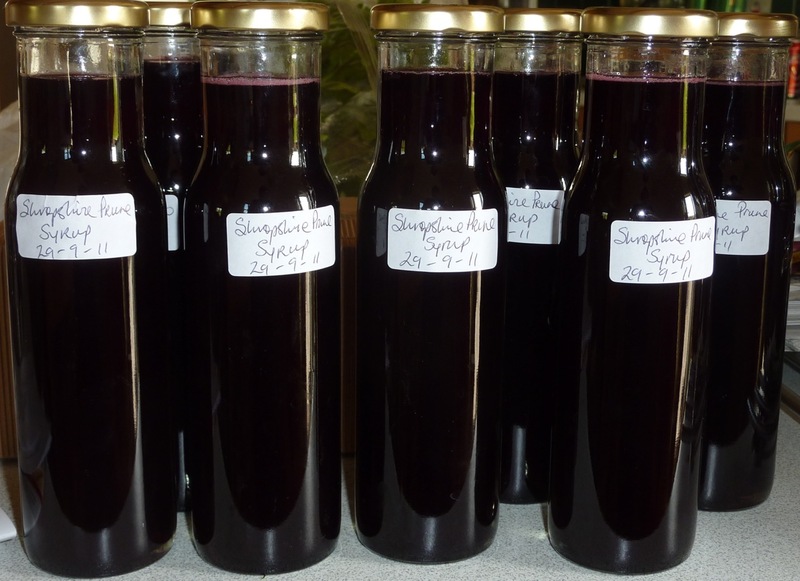 Damson Syrup Made With My Very Own Shropshire Prune Variety of Damson. Damsons: What's Hot in 2013? Subscribe now for the latest damson info. I will never spam you.